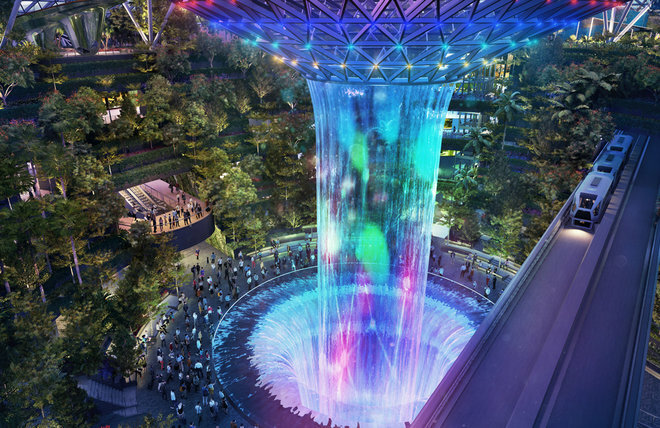 Singapore’s Changi Airport, which has monopolized the title of world’s best airport five years in a row, unveiled details on its newest attraction, Canopy Park. 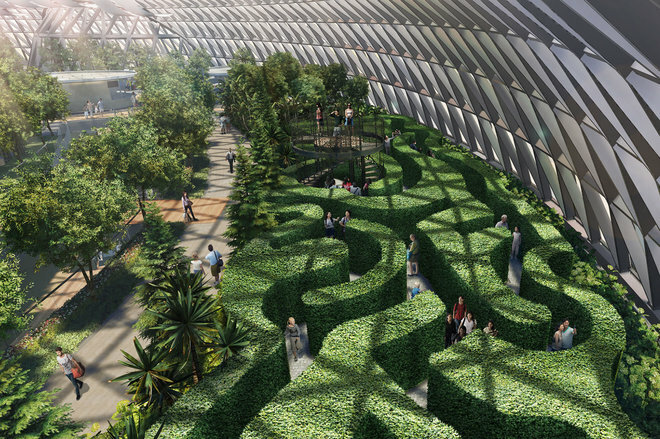 The park will span the size of 11 Olympic-sized swimming pools and feature kid-friendly attractions like a hedge maze, a glass-bottom bridge and an indoor rainforest. 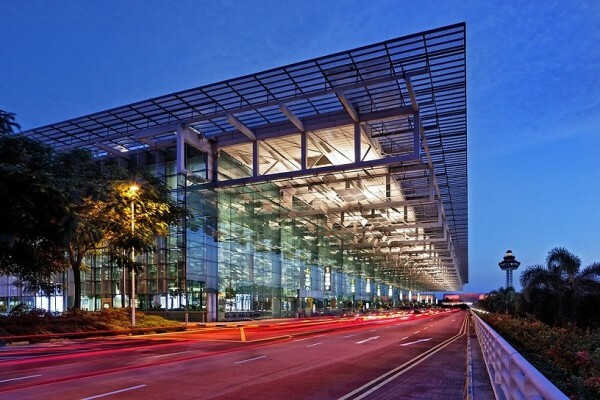 Widely recognized as the gold standard in airports, Changi Airport is pitched as a lifestyle destination in and of itself for offering travelers a micro-edited visit to Singapore with its indoor and outdoor tropical gardens, rooftop pool, street eats, cinemas, gaming centers and miles of retail shopping. 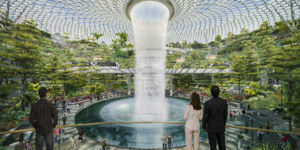 Once the Jewel Changi Airport complex opens in 2019, the bar will be raised even higher for features that include the world’s tallest indoor waterfall and five-storey indoor rainforest. Canopy Park will occupy the Jewel’s topmost level, spanning approximately 14,000 square feet (about 1300 sq meters). Designed by a group of international consultants from the UK, France, Germany, Singapore, and the Netherlands, Canopy Park was conceived largely with families and children in mind. For parents who want to tucker their kids out before their flight, there’s Sky Nets, a bouncing and walking net that offers dramatic views of the 25-meter drop to the Jewel’s lower level. There’s also Canopy Mazes, which features both a hedge maze and mirrored labyrinth, while Discovery Slides is described as part art sculpture, part playground, with a four-slides-in-one concept. For the best view of the Rain Vortex, which will become the tallest indoor waterfall in the world at 40m, visitors can cross the Canopy Bridge, which will be suspended 23m above ground. 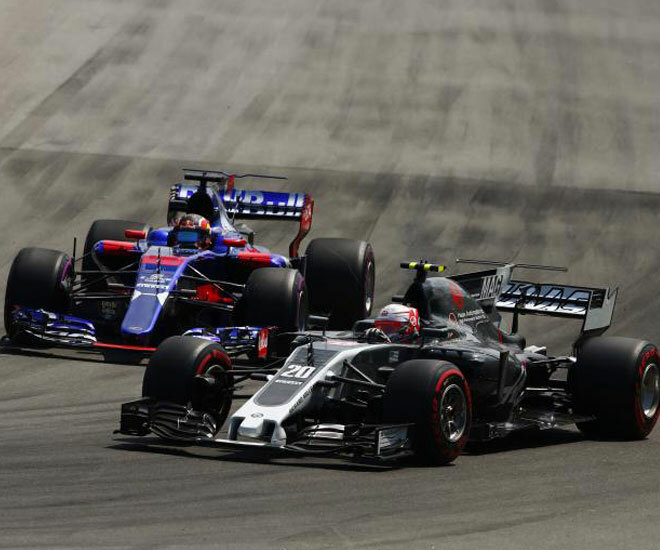 Details of the Rain Vortex were previously announced. A portion of the bridge also features glass-bottom panels to offer thrill-seekers the sense of walking on air. The Jewel is designed as a glass and steel-domed complex which will span five storeys above ground, and five storeys underground, and is slated to open in 2019.